I once read that the “About Us” page on websites are so generic, so corporate and so faceless that nobody really bothers to find out “About Them” at all. At the time of reading that, MrJWW wasn’t even a conception, but I always thought that when I run a website one day I would make the most awesome About Us page out there! Well here I am, actually writing this page, and the theme for our About Us section has changed a little, from awesome, to simply ‘human’. I’m MrJWW, my friends know me as James and this is quite a moment for me. What you are reading now was written at exactly ten past two in the morning of March 14th 2018, I am listening to 'Fade To Black' by Metallica and so far I have been working on the MrJWW YouTube channel solidly for around 2 years now, and one day i’ll hopefully look back and think “Wow, all those late nights actually paid off”! I am an ultra passionate petrolhead, traveler, adventurer and all round supercar super-fan. I grew up surrounded by cars, my dad raced Formula Ford, my uncle is an Aston Martin specialist and my grandad sold classic cars. My friends are car mad too, even more so these days, so there really has been no escaping it! Through the wider culture of cars I found myself attending awesome events, meeting great people and experiencing adventures I’d never thought possible. I decided to share these adventures on the original MrJWW website in the form of a written blog, but soon enough the written word wasn’t always enough to convey just how incredible a car sounded or magnificent a scenario I would find myself in. So I swapped the keyboard for the camera and decide to film my adventures, 50+ millions views later it turns out people liked it! The mission of MrJWW has always been to immerse people in ‘Why We Drive’. The cars, the culture and the wider lifestyle.  With the launch of this website we are coming full circle, re-launching the blog and the all new MrJWW store, an exciting opportunity to further represent all the like-minded petrolheads out there. We’re just 2 years into this crazy but incredible adventure and I feel like we’re just scratching the surface. There are some incredibly exciting plans in development and I can’t wait to take you along for the ride.